This article featuring St Andrew’s College teacher Mr Matt Nicoll first appeared online at the New Zealand Science Teacher website and is republished with permission. You can see the original article by clicking here. Matt Nicoll prepares his students for NCEA assessment using online tools. 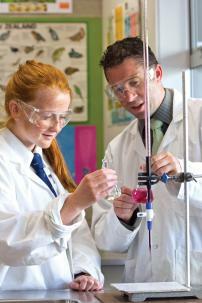 Science teacher Matt Nicoll is using innovative ways to prepare his students for upcoming NCEA assessments. Matt, who teaches chemistry and science at St Andrew’s College in Christchurch, uses technology and social media to engage with fellow teachers and his students. At the end of the first term, Matt’s year 13 chemistry students asked for more help with an assessment task. “They said ‘when we were going over the work in class, we wish we could have videoed your lesson, so we could revise it again during the holidays,’ so I made a plan to create some video resources,” says Matt. “It does take a bit of confidence to say ‘okay, I’ll have a go at making something,’ and then to actually do it,” he says. He uploaded the video resources in the last week of the school holidays, to make sure he didn’t spend the entire fortnight thinking about chemistry assessment. The chemistry video clips ‘walk’ students through their upcoming assessment. “All I’ve done is put a ‘voice’ to it, and a ‘graphic’ to it, as it were, on my computer, and videoed it. I talk through the marking schedule, along with a commentary, or thought process about how you get there,” he says. Some of Matt’s students instigated a Facebook community for their year group, and links were also posted there, for easy access. Bradley Atkinson, who formed the group, gives a student perspective below. Christchurch schools forced to close during this period were given free access to Te Kura – The Correspondence School educational material. “It was brilliant to have that access, but I also had a feeling that it would be great for my students to be able to learn from a familiar voice, and one that tapped in to earlier work we had covered,” he says. Visit Matt’s blogs, complete with links to the YouTube videos here. You can read more about Matt’s approach to using technology in his teaching inhere on New Zealand Science Teacher. Hi Bradley. What’s your perspective on using videos like these to prepare for assessments? I personally find it very helpful and I know a lot of other students do as well. If we ever feel as though we haven’t fully understood a concept in class, these videos are a resource that we can always go back to and spend time reviewing in order to understand the concept better and take notes. I also find that these videos are helpful for external standards as they can refresh our memory closer to exams and offer an alternate way to review notes rather than simply reading and writing. Is there anything about using the videos that you find challenging? The only challenge that I find typically comes hand-in-hand with online educational videos is that it is often quite hard to ask questions. There isn’t the same personal interaction as one would have in a class. However, Mr Nicoll gets around this problem as he always finds time during school time to answer questions and is quick to respond to questions online. You also administer a Facebook page for your fellow Year 13 students. Can you tell me a bit about the way you and your fellow students use social media for school-related stuff? I’m not actually the administrator of the page. 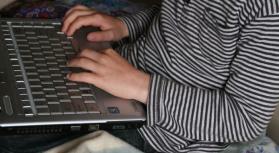 However, every Year 13 student at our school has access to the page and is welcome to post on it. I’ve found that most of the posts tend to be related to school work, such as asking other students when assessments are due, sharing exemplars for upcoming assessments, etc. It’s really quite a good way for our year group to communicate with each other, we can ask an entire group of students a question and get a quick response. Most classes also have their own Facebook pages which students use to ask for help with questions, I’ve never seen any posts that are asking for help with writing an internal or with assignments or anything of that nature so to me it doesn’t seem as though people are abusing this connectivity. I only created a Facebook for education purposes. As part of my leadership position at St Andrew’s, I need to communicate with various of students of different year groups and I find it very easy to do this through Facebook. There is some degree of communication between teachers and students on Facebook, however, in my opinion, there’s not enough. Some teachers like Mr Nicoll have a ‘school’ Facebook account that they use to communicate with students, which has shown to be quite useful, and I feel as though more teachers should follow this path. All in all, the way that our year group has come to use Facebook has shown to be quite beneficial, it seems as though we can all easily, and responsibly share information relevant to our education through Facebook. I’m also aware some students are using Reddit for study and reading up on concepts, and from what I’ve heard, it has also been quite a useful tool for study, however, I’ve not had enough experience with this site to make a personal comment on it. Anything else you want to add about learning from online videos? I tend to spend a lot of time studying, and find online videos very useful, especially in explaining concepts when I’m either getting ahead of the class or preparing for an assessment, educational videos have proven to be a very useful tool for me. Whether I’m viewing ‘Khan Academy’, ‘Minute Physics’ or Mr Nicoll’s YouTube channel, I find these videos very useful in preparing for assessments as they offer videos with very relevant and useful information in them. This entry was posted in eLearning, Science and tagged blog, Curriculum, eLearning, Facebook, Flipping the Classroom, Information and communication technologies in education, Moodle, NCEA, rationale, Science, St Andrew's College, Student Work, YouTube by Sam McNeill. Bookmark the permalink.